Semantic Routed Network (SRN) can provide a scalable distributed solution for searching data in a large grid. In SRN, messages are routed in a overlay network based on the meaning of the message key. If the message key describes the desired data, then SRN nodes can be addressed and accessed by the description of their data content. The key challenges of materializing a SRN are: (1) designing a data structure which will represent complex descriptions of data objects; (2) computing similarity of descriptors; and (3) constructing a small world network topology that minimize the routing response time and maximize routing success, which depends on solving the first two problems. 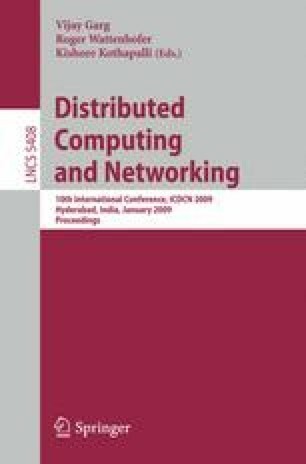 We present a design of a descriptor data structure and a technique to compare their similarity to address the first two problems.